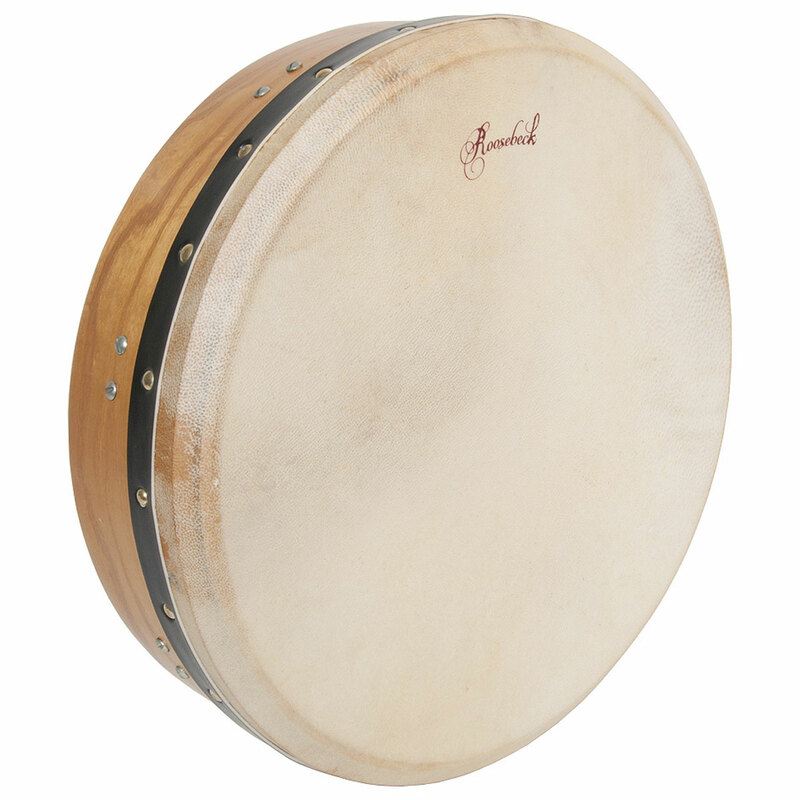 Roosebeck 14 Inch Bodhrán Cross Bar Tunable Mulberry + Sheesham Tipper Cipin + Wrench + Tipper Cipin & Wrench. Primary rhythmic accompaniment for Celtic and Irish music. Contains a goatskin head and a mulberry wood frame. Player is able to tune drum by adjusting hardware hidden inside. Equipped with fixed crossbar in back to help support player's hand and wrist when playing.